The Duke and Duchess of Cornwall are to visit Cornwall tomorrow (Wednesday), attending engagements in Porthleven, Truro, Bodmin, Blisland and Newquay. 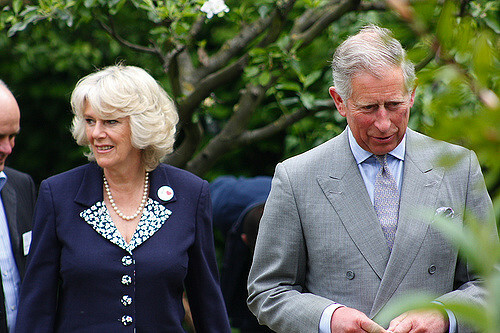 The first port of call will see Prince Charles and his wife Camilla visit Porthleven on Wednesday 19th July to meet and celebrate local food producers and businesses. Their Royal Highnesses will also hear how the port has recovered since the storms of 2014 to become a “foodie” destination and host its own annual food festival. They will then visit Great Cornish Food, an independent grocery store located in Waitrose,Truro. The Duke of Cornwall is Patron of Macmillan Cancer Support, and will visit The Cove Macmillan Support Centre at the Royal Cornwall Hospital. He is due to meet staff, patients and cancer specialists and hear more about the assistance The Cove offers. Charles will also visit a “Look Good Feel Better” workshop, which aims to provide support for women and teenagers suffering with the visible side effects of cancer treatment. Meanwhile Camilla, who is President of ShelterBox, will visit the charity's new headquarters in Truro to meet staff, supporters and school children making use of the charity's new visitor centre which provides a visual demonstration of how ShelterBox provides aid to people around the world. The Duchess is later due to visit Caterlink, a Bodmin business specialising in ice cream cones, toppings, decorations and accessories. Her Royal Highness will meet staff, tour the factory and visit the tasting parlour. On Thursday the pair are due to attend a number of engagements in Devon, but return to Cornwall on Friday 21st July, when they attend a service at St Protus and St Hyacinth Church, Blisland, with local parishioners and visit the local village hub which functions as a shop, post office and tea room. Their final destination is due to be Newquay, when they visit Tregunnel Hill where they will award prizes to the winners of a hanging basket competition and attend a street party on the village green – it will help celebrate The Duchess's birthday. The Duchess of Cornwall is also Patron of The Cornwall Air Ambulance Trust – and she will visit the charity’s Newquay HQ.